So you just discovered us, and you love what we’re about, but you don’t know where to start… We get it. We have thousands of colors, so how do you decide which of those are right for you? Well you could randomly go rogue and hope for the best, but we recommend this very systematic approach. Doing so allows us to serve you best and helps you save money while looking fresh. Before we go in to where to start, we want to let you know that we offer shopping tools in all your favorite colors. 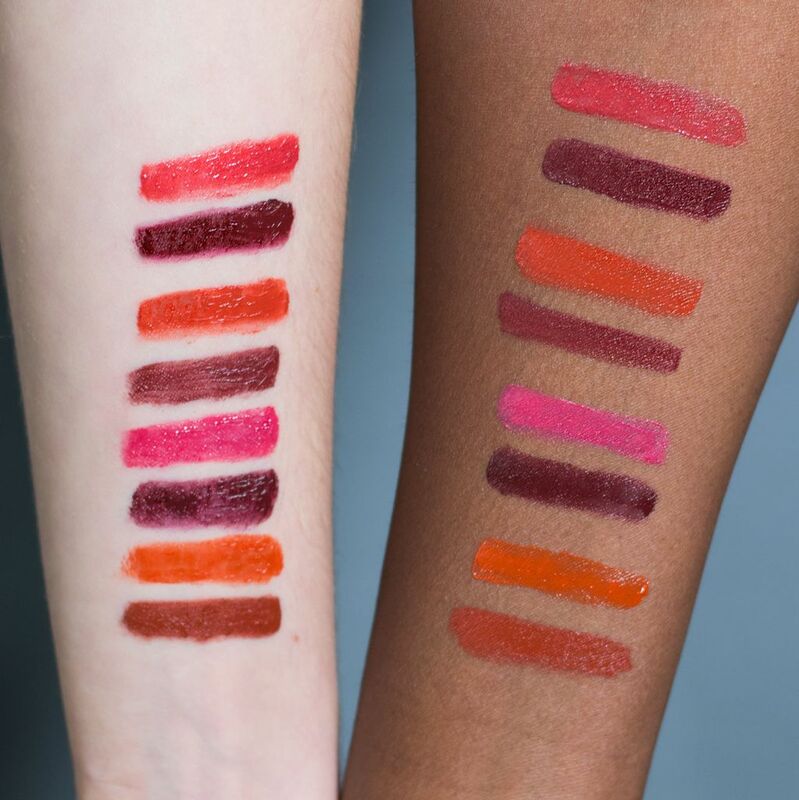 Say that Never Pay Retail is your favorite lip color ever, you can buy a swatch that is the same code as the lip. These hand-painted canvas swatches are the ultimate tools for shopping color confidently. We recommend using them for anything ranging from clothing, jewelry, to interior paint and even furniture. Whether you are looking for that perfect comforter and sheet set that really complements you or a t-shirt that makes your eyes glow, we’ve got the tools to make your life easy and beautiful. So wear the colors that look amazing on your face on your body too and enjoy the way that nerdy color systems can change your life. Learn more about ebhues here, or learn about the online drapes below so that you can start your color journey today. Start with the foundation of makeup… foundation. Finding the perfect match for your skin needs and exact color can be hard, but we’ve created SKIN TWIN to help you walk through finding your true perfect match step by step. 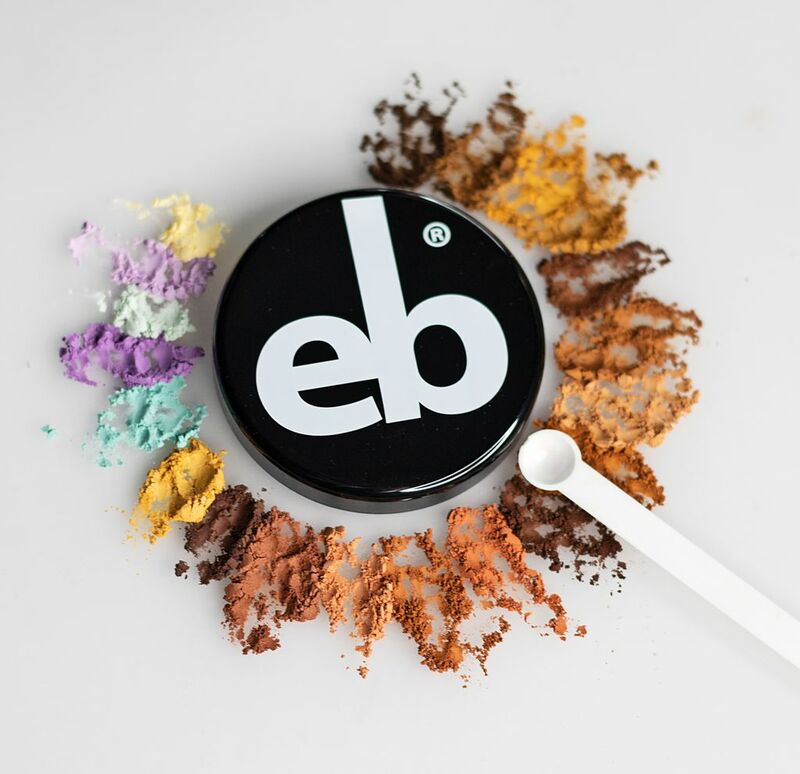 As a bonus you can also mix your own concealer with the kit using the same process that we can then turn into a moisturizing cream (if you so desire) or mix as a mineral color. Our foundation comes as a loose vegan mineral with no nasty fillers which means it's great for your skin and an amazing moisturizing beauty oil that hydrates using the power of nature. Both use the same formula you will find using skin twin. Once you have your Skin Twin, you’ve unlocked your most natural look in oranges (all skin is considered an ‘orange’). The next important step we’ve found to put a look together is the lip. We use our lip drape to find your best color zone in reds and red-purples. These colors may not be the colors you would necessarily wear every day, but we use them so that we can find the zone of colors suits you best. When you find your best color family (blue, red, yellow, or orange undertone) you have a great way to decipher your best lip colors. The lip drape also finds your best value zone. Don’t be afraid to blend them after your initial swatching. Get cheeky is highly recommended, even if you have already done the Lip Drape because our cheeks and our lips are often different. Unless your lips are the exact same color of your cheeks naturally, you’ll benefit from the different set up that is cheek specific. Do you have a favorite color, but can’t seem to find the right hue for your eyes? Our Eye Drapes offer you the ability to test all 10 color zones at different value ranges, so that you can find the best one for you. These colors are specifically chosen for your eyes and unlock all the potential for expansion that you didn’t even think possible. WAIT I’VE ALREADY VISITED YOUR STORE OR DONE ALL THIS WHAT NOW? Why not explore our new products, some fun colors, or hey subscribe to our quarterly color story deliveries to help keep you looking fresh all year long?